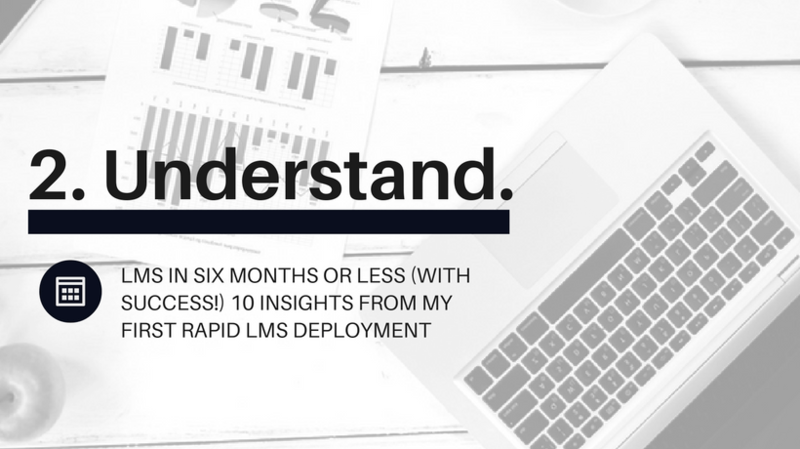 Learn more about #2 on the list of top 10 insights a Learning Management System (LMS) administrator learned from a rapid large-scale Learning Management System deployment. 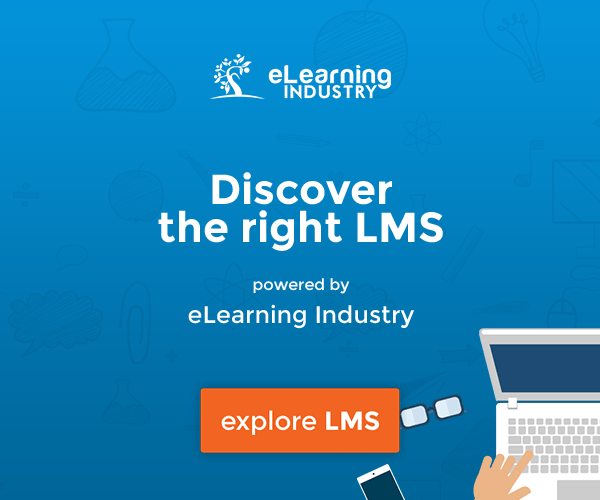 First LMS implementation or not, these insights can help anyone ensure Learning Management System success. The path to success is the middle ground, that sweet spot -whatever you want to call it- between the organization’s strategic goals and daily operations. I truly believe that as the Learning Management System administrator, it is my job to create the right solution for the organization by understanding the executive strategic goals and the day-to-day reality for frontline workers. To ensure Learning Management System success you'll need to gain a deeper level of understanding of what the organization’s goals are with the Learning Management System implementation and learn the reality of team member’s daily work lives in all areas of the business. You’ll get this information by going through a stakeholder interview process, and most importantly, you'll have the data you’re going to need to be your learner’s advocate. I found myself as the interim Learning Management System administrator after a new LMS vendor was selected and the project scoping had just began. I loved my previous role so only planned to “keep the lights on” until we could get a new Learning Management System administrator in place. However, after a delay in hiring I found myself slowly spending more time (and enjoying it) in my interim role and decided to throw my name in the hat at the last minute. I was fortunate to get the position, but this means that I really had just “kept the lights on”. I had started a content audit, but not much else. The most detailed insight I got at the time was relaying questions from our LMS vendor to the Learning and Development group for the statement of work. Implementing a new Learning Management System in less than six months for an organization with over 85,000 team members is a substantial task on it’s own. If you throw in decentralization, a lean team, and company organizational change you’ll find yourself trying to decide which top prioritized task you have to let go of. This process will be different because you’re going to have to do it in parallel to the actual implementation. Be prepared to uncover “gotchas” after it’s too late to make a change. I’ll admit, it’s not ideal, but it’s better to know about it than be surprised by it after your new Learning Management System launches. What does a stakeholder interview process look like for a Learning Management System deployment with a six month timeline? I think this will vary depending on your organization as I said in my first shared insight article, you know your organization best, but I can share what my version looked like. A “stakeholder” is any group or individual in the organization who has some sort of stake in this project. Whether it’s a different workflow, loss, gain, etc. there are stakeholders who will want it to succeed and who have the power to make it succeed (whether they know it or not). These are your key stakeholders. The project team and I answered a series of questions that helped us understand why a group or team member was a stakeholder and what we would need from them. Utilize your organization’s standard change management tools to do this and if there isn’t a standard, Google is your friend combined with your institutional knowledge. I then used a table to list out what I needed from each stakeholder or group of stakeholders to determine what questions the team would ask during the stakeholder interviews. Armed with a list of questions based on a standard system implementation stakeholder interview, the team selected stakeholders and conducted hour long interviews either via phone or face-to-face. The stakeholder interviews were done in parallel to the overarching implementation and were stressful at times (100% transparency), but I still refer to them constantly because of the immense amount of information that was learned. At the surface it may not seem like you'll discover every single thing you’re going need to know with stakeholder interviews. However, if you listen carefully and consistently go back to your stakeholder interviews, you’ll find those small treasures that lead you to another well of information that you need. Rinse, repeat, and you get the picture. Eventually, the more interviews you do and the more transcriptions you read, you’ll start to see patterns emerge. Look for patterns that could be potential risks, quick wins, etc. Use a simple spreadsheet to keep track of those. That will help you set realistic expectations for both yourself and stakeholders. Here’s an overall stakeholder impact spreadsheet template example you can use to get started, but this will need to change depending on your project goals, needs, and organization. The stakeholder interview data is the data that is going to help you have the confidence you’ll need to stand firm by LMS configuration decisions. I am going to be 100% transparent with you again though. Leading a stakeholder interview process on top of leading a Learning Management System implementation is hard (at least it was for me) and isn’t for everyone. There was a lot of late night and weekend work involved and I don’t recommend waiting until you start the Learning Management System implementation to start your stakeholder interviews. However, if you do find yourself in a similar situation I do believe it’s important to find a way to find a way to fit it in somehow. It’s also important to remember that this Learning Management System implementation isn’t about you. Sure, you may be the Learning Management System administrator, but this is about making sure a part of your organization’s learning ecosystem is useful and adds value for the team members that will use it day in, day out. I uncovered several “gotchas” that had me switching gears (or wanting to) at times during implementation and used the stakeholder interview data to determine when switching gears was needed for a successful implementation or a nice-to-have. There’s no better way to demonstrate how you’ve set your ego aside to your stakeholders than through vulnerability. If you can admit when you were wrong about something, be willing to change gears and/or explain why you can’t change gears, you’re helping your stakeholders feel some project ownership. That’s how you get your buy-in and start building your change champions. Identify key stakeholders and stakeholder groups. Identify what you'll need from each. Build standard stakeholder interview questionnaire. Compile the stakeholder interview data. Share your data with stakeholders (and anyone else who will listen!). Check out my first shared insight, Start Before the Official Project Kick-Off, if you missed it last week, and stay tuned for future articles from the 10 insights I learned during my first rapid Learning Management System implementation. Set Guiding Principles (And Stick To Them!) For Implementation. Build (Or Borrow) Your Team. Get A Kanban Board And Go Agile. Schedule Regular Stakeholder Meetings And Communication. Establish Governance And Expectations Early. Understand Authoring Tools (Native And Cloud-Based).